Proven Group I star Sacred Elixir (3g Pour Moi x Baltika, by Stravinsky) resumed from a spell to score a powerful last stride win the Group III MRC Caulfield Guineas Prelude for colts and geldings at Caulfield on Saturday. A gelded son of Epsom Derby winner Pour Moi, the Tony Pike trained Sacred Elixir has been off the scene since scoring a runaway three and a half length win in the Group I BRC JJ Atkins Stakes during the Brisbane Winter Carnival. Entered for the Cox Plate and Victoria Derby, Sacred Elixir confirmed he will be a force to be reckoned with judging by this stylish victory over 1400 metres, a distance seen as well short of his best. "He was first-up and fresh but he just travelled super and got a peach of a ride from Damian (Lane)," said Tony Pike. 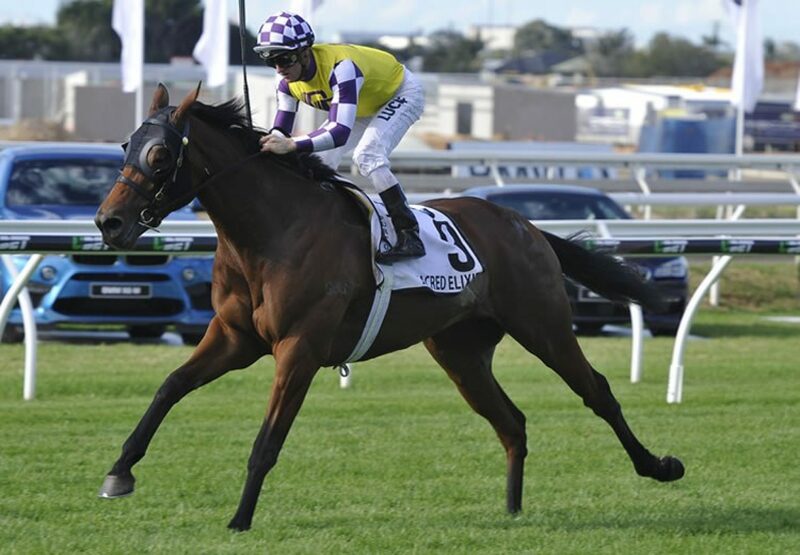 A $170,000 NZB Premier purchase for Raffles Racing/Mulcaster Bloodstock from the Wentwood Grange draft, Sacred Elixir has won four of seven starts earning in excess of $557,000 with the Group I VRC Victoria Derby (2500m) on October 29 his primary goal this spring. Bred in the purple, Sacred Elixir is the first winner for well-bred Stravinsky mare Baltika, a winning grand-daughter of champion New Zealand mare Horlicks from the family of Group I winners Brew (Melbourne Cup) and Fiumicino (Australian Derby). His sire Pour Moi is back at Windsor Park in New Zealand this spring and his oldest progeny are three year-olds.